As pastors, we have a solemn obligation to equip church members to do ministry (Ephesians 4:11-12). Instead, too many pastors burn out because the pastor and the church members expect the pastor to do most or all of the ministry for them. Too many pastors burn out because the pastor and the church members expect the pastor to do most or all of the ministry for them. Making the transition from the doer of ministry to the equipper of ministers is very hard for most pastors to do. And it can be even harder for church members to understand, let alone step up to. After all, pastors are in ministry because we’re passionate about doing it, and we’ve trained our congregations for generations to let us do it for them. Shifting from doing all the ministry, to training others to do ministry doesn’t come easily. But it is essential. And it’s biblical. 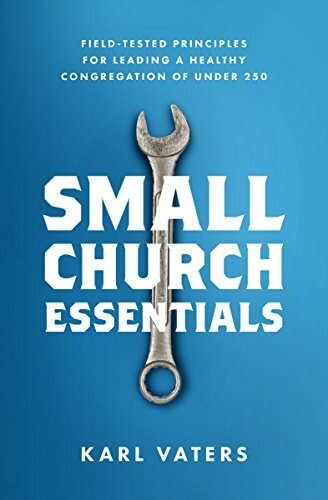 The idea that the pastor and other church leaders should do all the ministry for church members is very deeply ingrained in our churches and our pastoral psyches. So we can’t expect things to change overnight – for either the pastor or the church members. But here’s a simple strategy that can help any church start down that road, giving everyone some early success. Put “equipping God’s people” on the agenda. Literally. This is a simple, practical first step to help you or your team start building a team. In every regular leadership meeting, ask your team members (deacons, elders, staff, volunteers) to share an instance since your previous meeting when they had someone else do ministry with them, instead of just doing it themselves. Then, lead them by your own example. This is a simple way to encourage everyone, including yourself, to stop doing everything on your own and start bringing others along for the ride. If you don’t have a team of volunteers, start holding yourself accountable with the help of a spouse or other responsible person. Set aside a time every week in which they will ask if you did all the ministry yourself this week, or if you brought someone else along with you for at least one task or event. Then look ahead and set aside some opportunities to bring someone along in the coming week. This small step has two ingredients that help us change our mindset about what it means to be a church leader. First, it’s doable. Every leader can bring someone along on a hospital visit, ask someone to help them set up or tear down for a meeting, and so on.